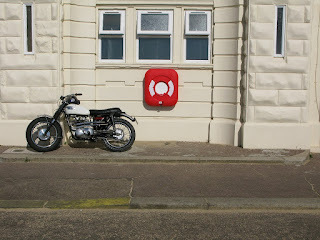 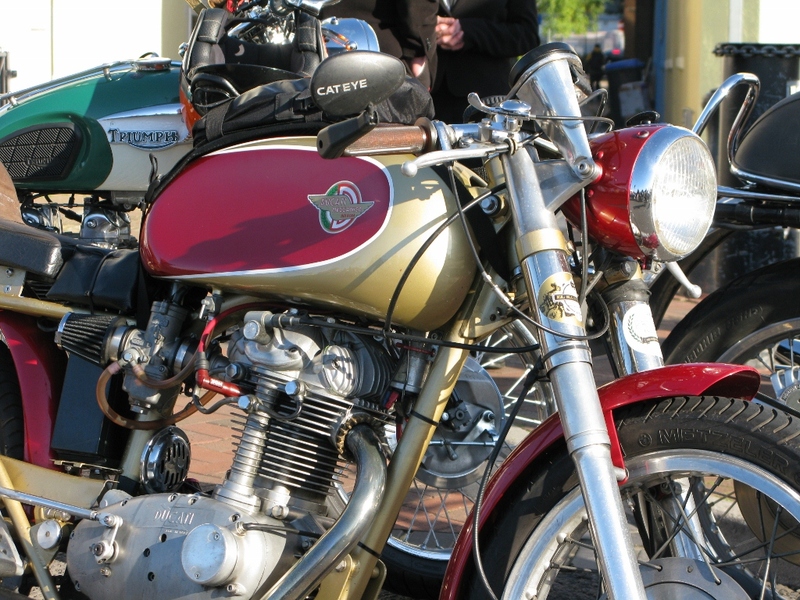 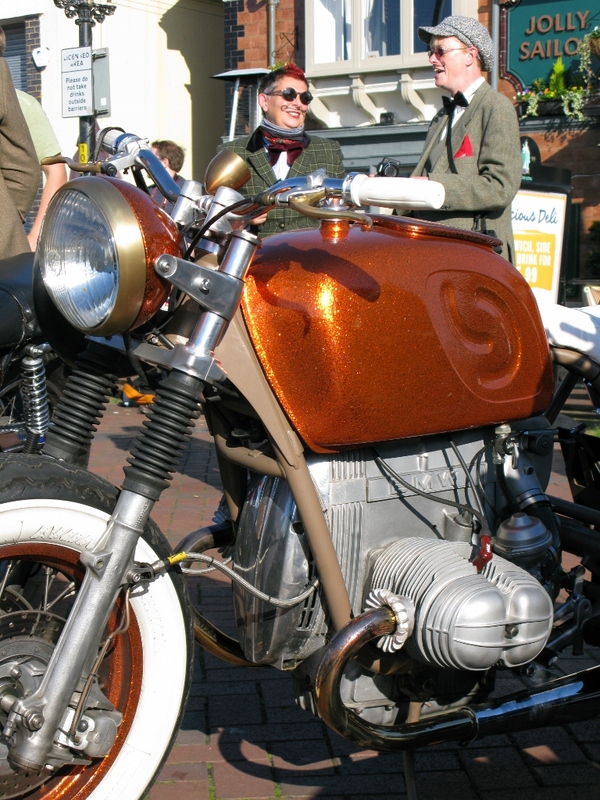 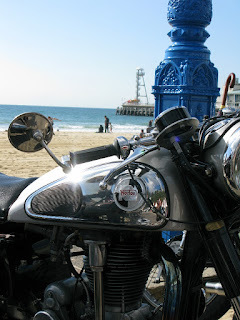 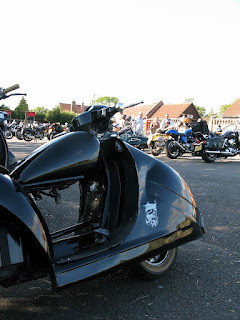 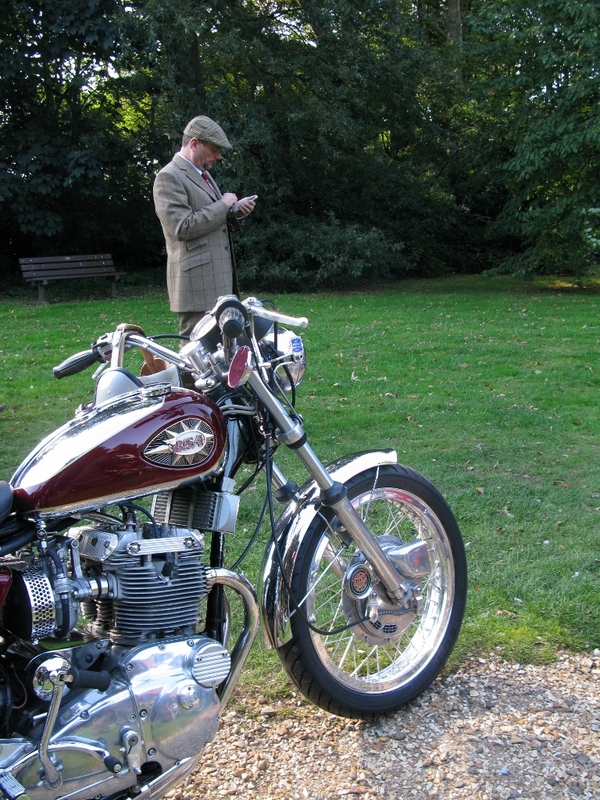 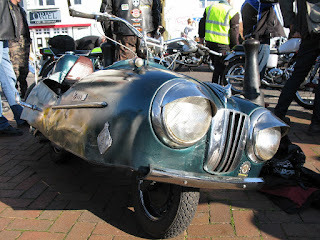 Nowt more than a selection of snaps from this year's excellent Bournemouth Distinguished Gentleman's Ride. 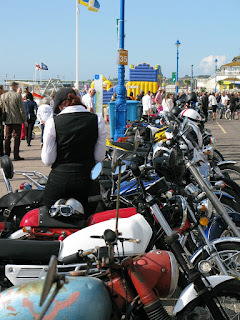 The sun shone, the bikes many and diverse, a sweet route through the best of Bournemouth and a good time had by all. Many thanks to the organisers. 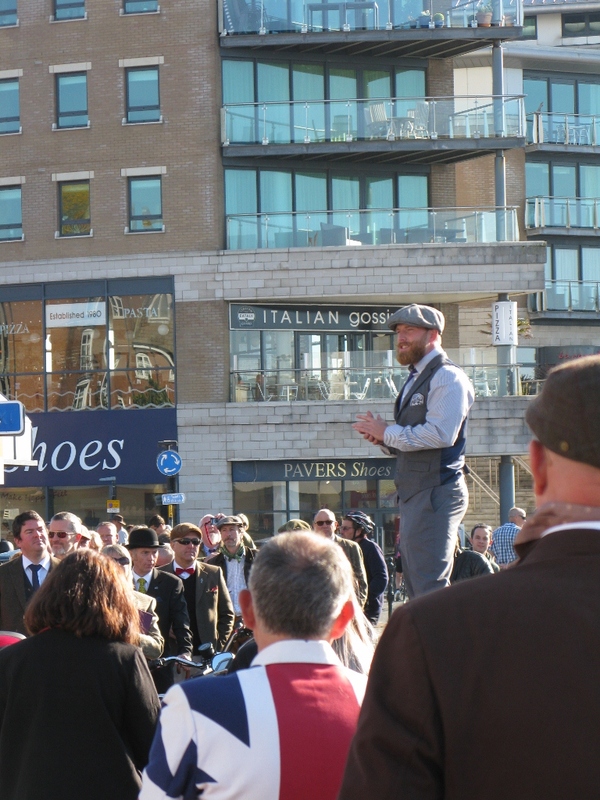 Pre-ride briefing on Poole Quay. Meriden Triumph on Bournemouth sea front. 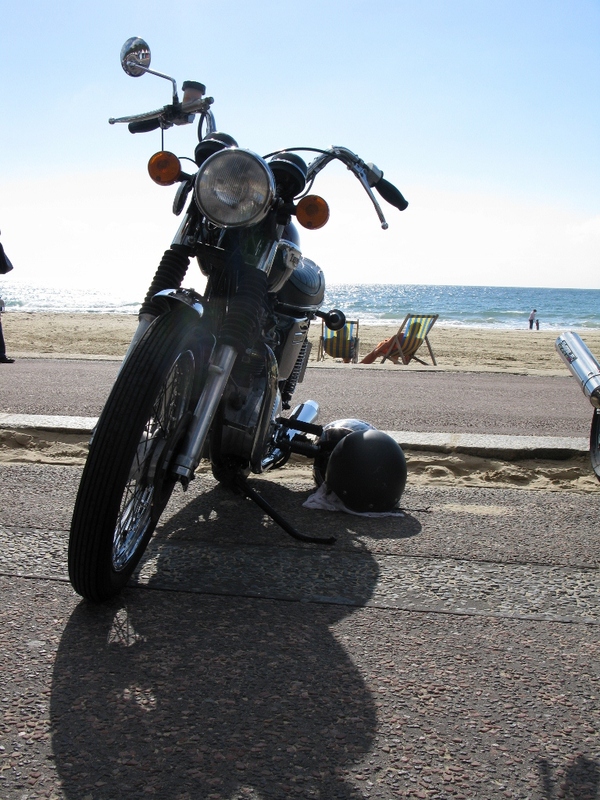 Line up of machinery by the beach. 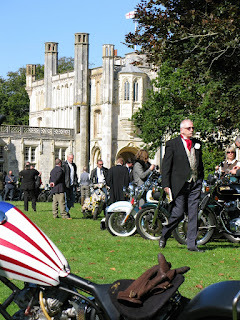 Triton and dapperness at Highcliffe Castle. New Norton, old Greeves and red leather. 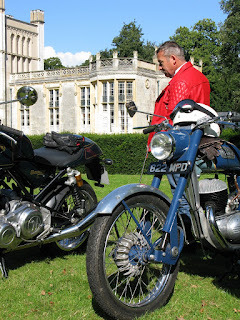 Triumph chop at the Castle. for a while and it sounded good. 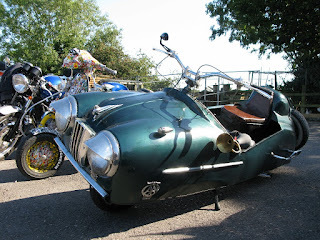 Scootercar again. 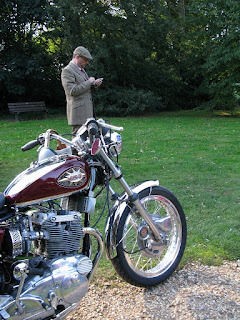 Really loved this device. Drivers / riders seat on the Scootercar. 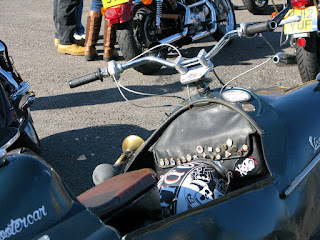 City / American Gothic inspired. 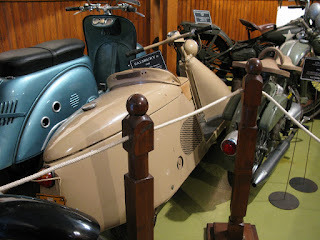 A lot of work went into this and the scootercar. 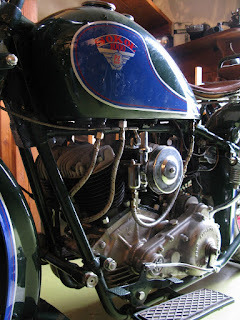 Nice snap of a Norton Big 4 combo from (at a guess, please correct me if I'm wrong...) 1924/5. 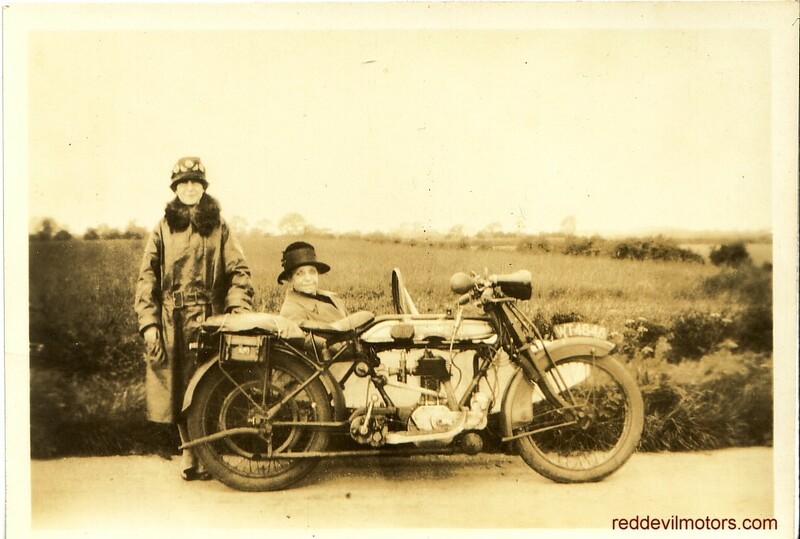 Norton Big 4 sidecar combination 1924 / 1925. 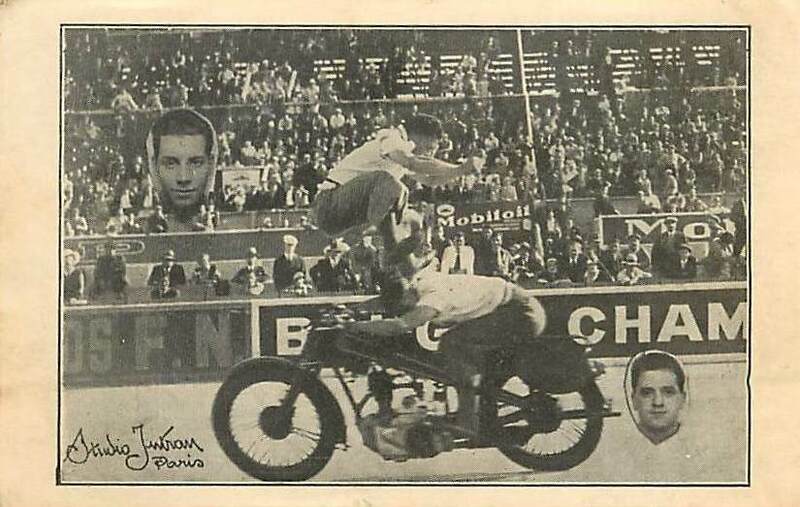 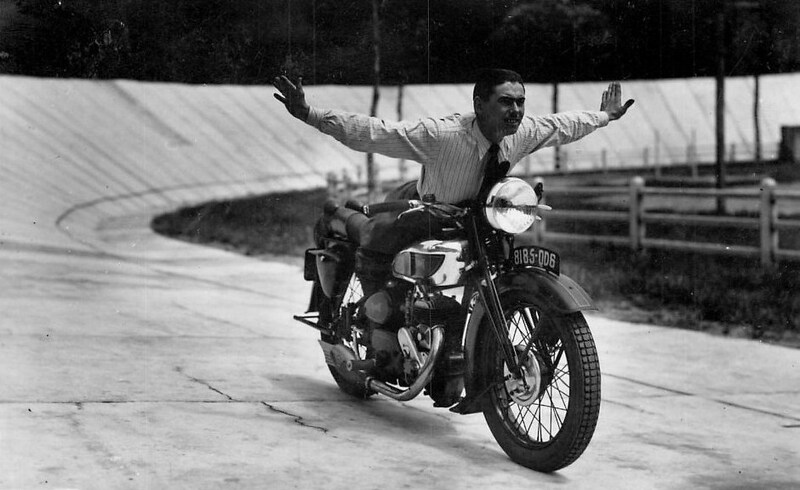 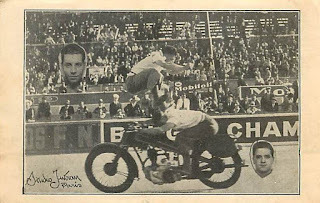 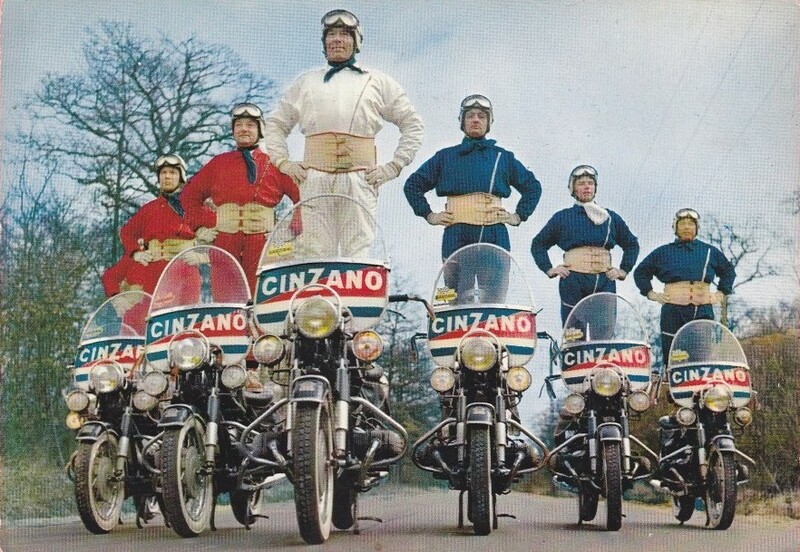 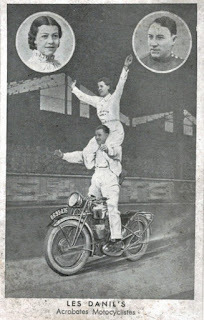 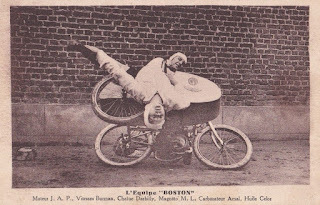 A selection of motorcycle acrobats. 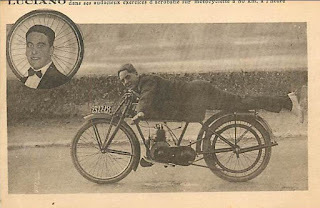 Mainly from the heyday of such activities in the twenties and thirties and mainly french in origin. Most details seem to be lost in the mists of time so look, enjoy and make up your own narrative. 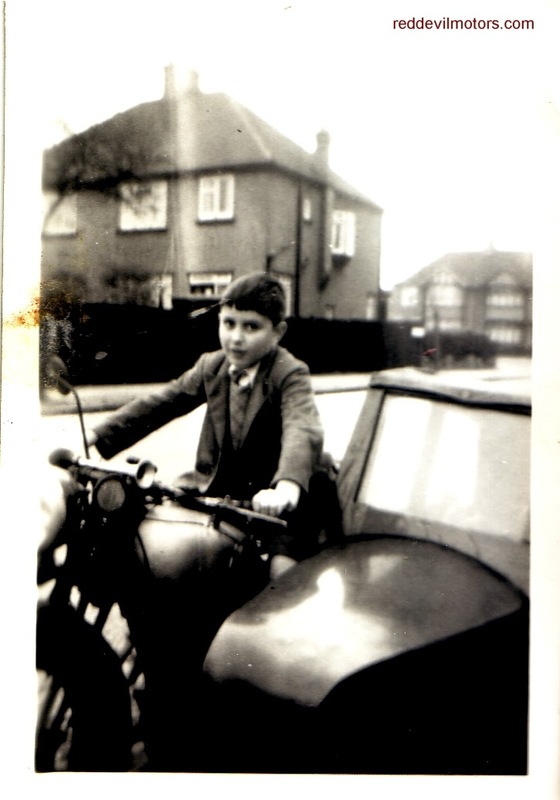 Nowadays this would possibly be filed under child labour. 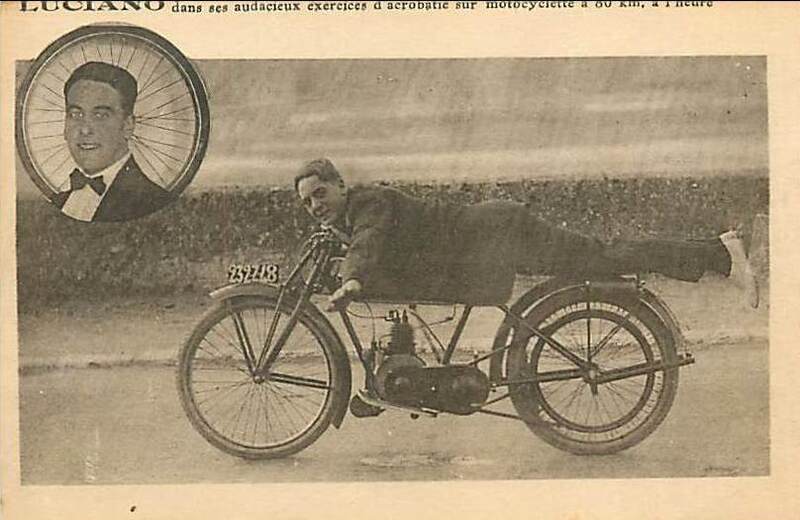 a definite proto-bobber look going on. 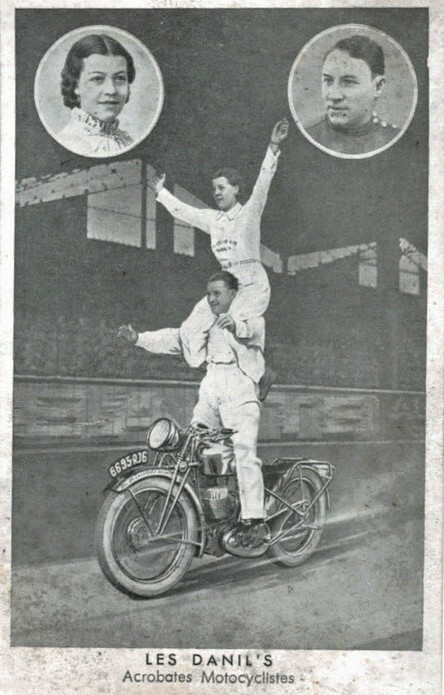 velodrome but further details are unknown. 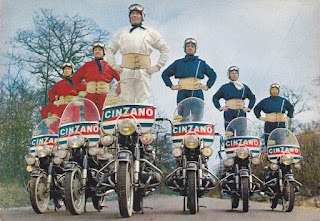 caravan in the fifties and sixties. 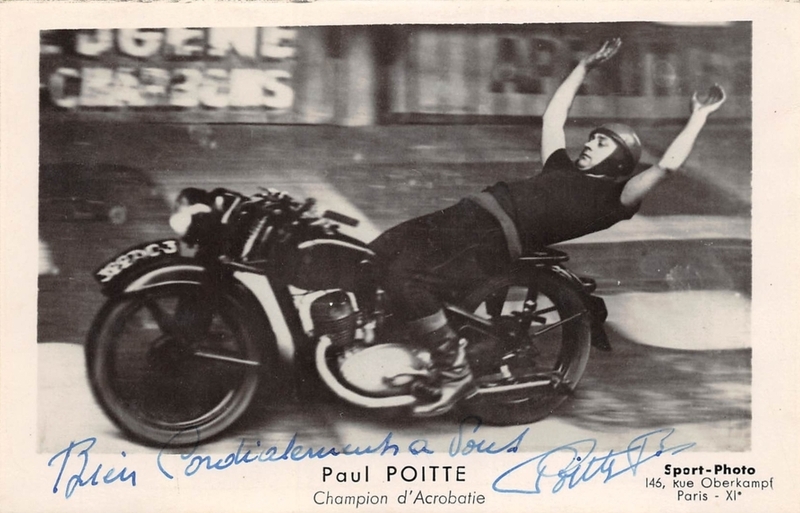 Paul Poitte. 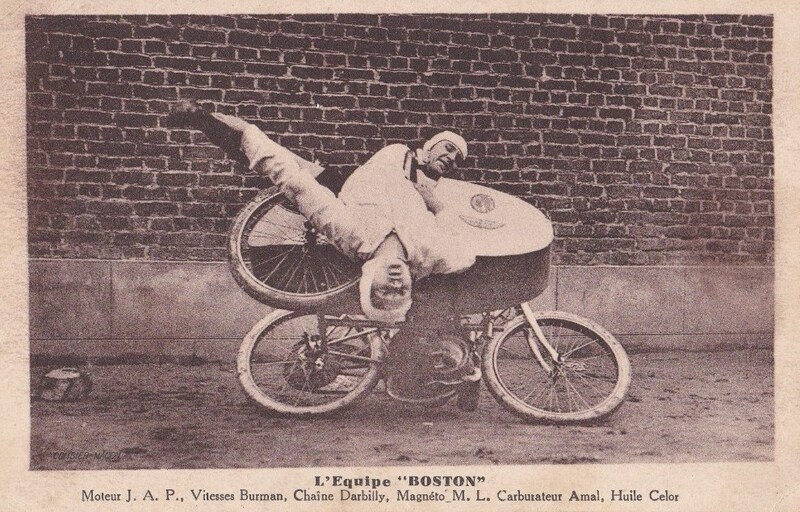 'Champion of acrobatics'. to put it simply thrust is generated from air flow over spinning rotors. 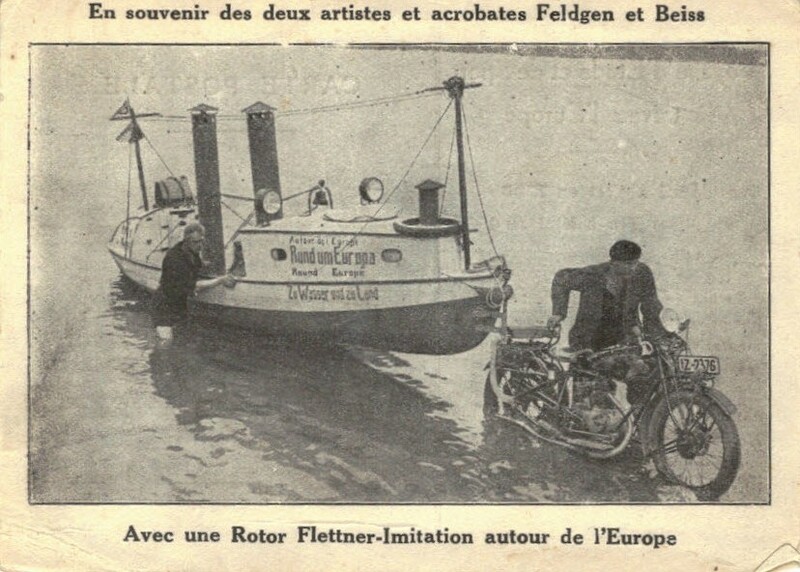 be inefficient compared to conventional diesel powered vessels. but all have fallen down on grounds of efficiency. like it is from the late twenties. Quite a nifty trick by the Celmar's. like they are of no relation to this bike. 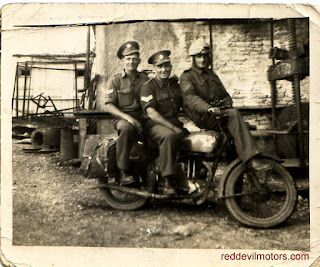 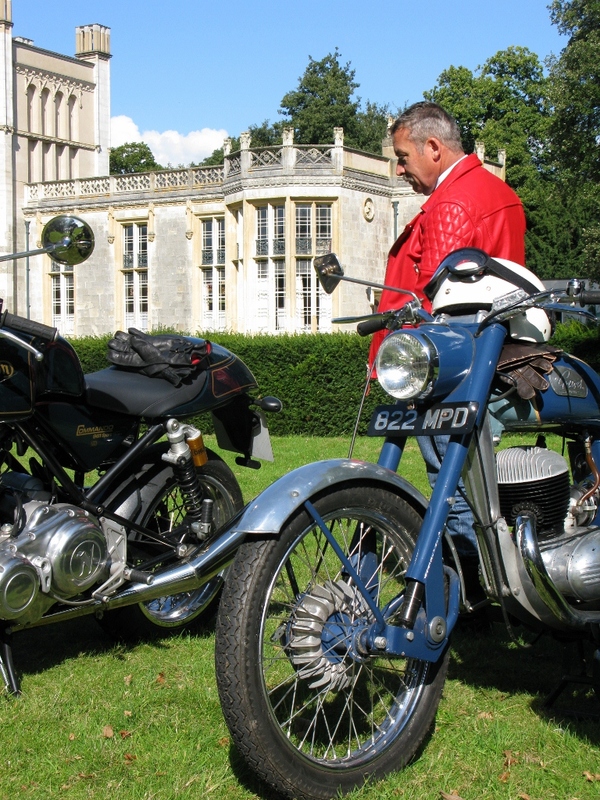 A bit dog-eared but this is a nice snap of a trio of military gents with a well-used Matchless G3L. 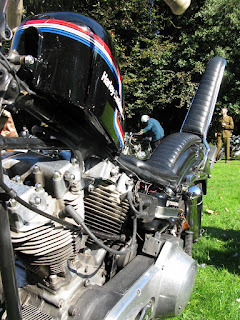 Yep, it's not a quality photo by any stretch of the imagination. Bonus points if you can identify the bike through the blur! Living the thirties dream in Britain. 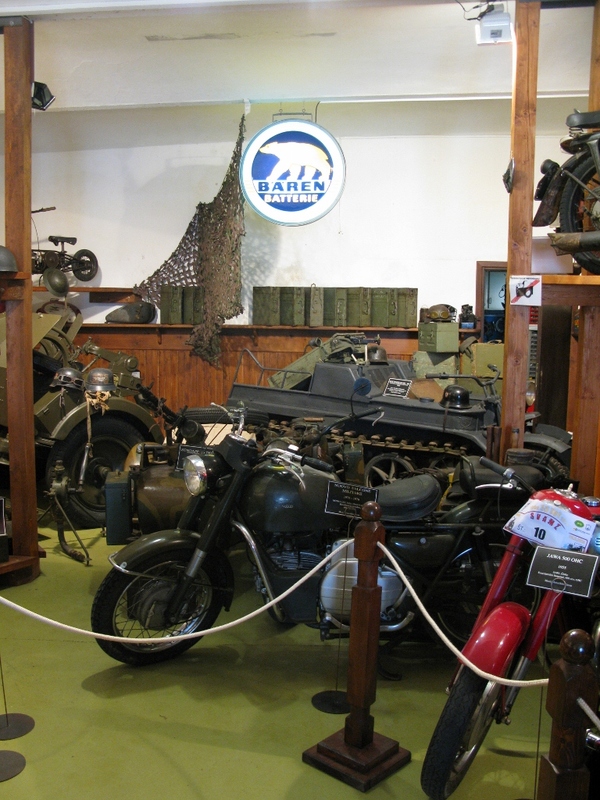 The final tranche of photos from the Grom collection in Vransko, Slovenia. 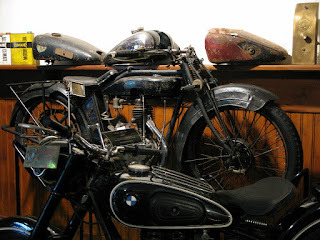 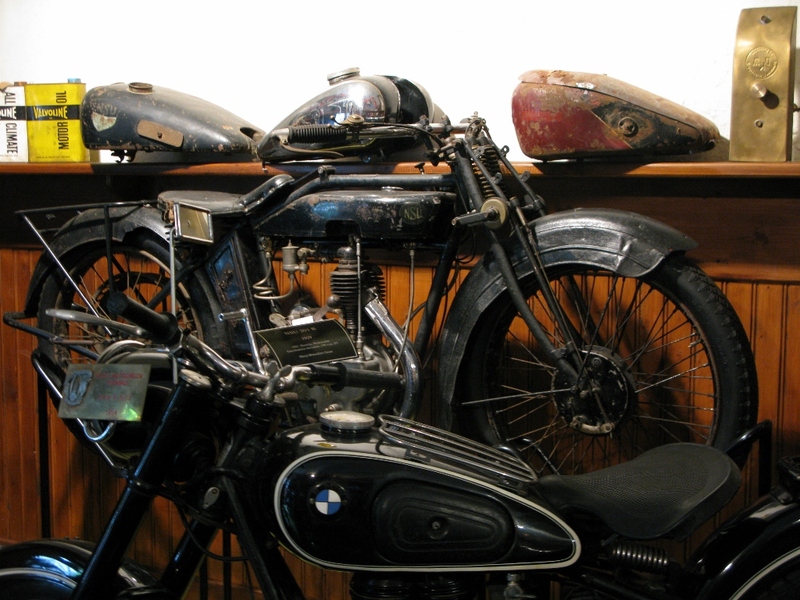 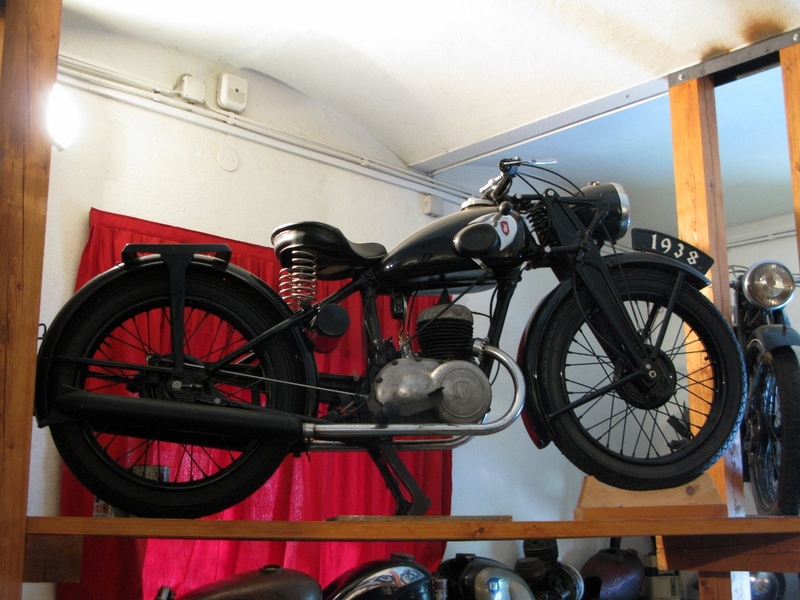 Cracking unrestored german Imme R100. 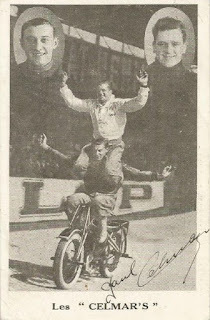 ahead of its time. 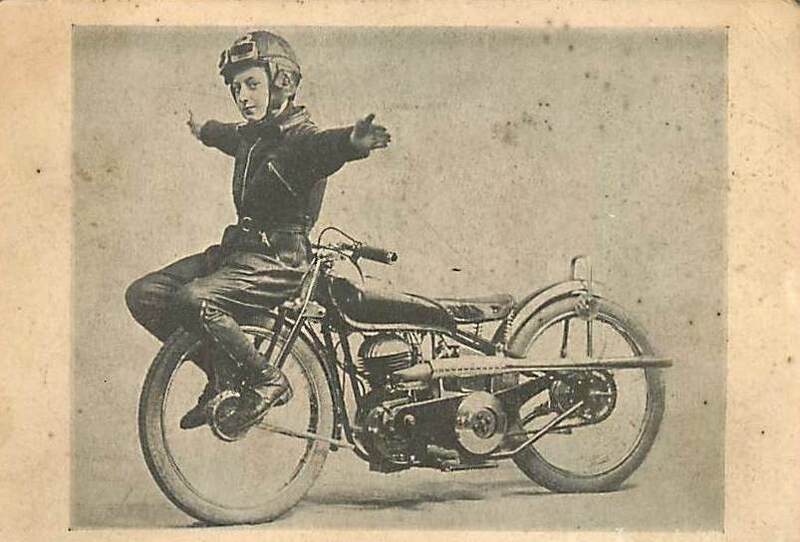 Imme is German for Bee. 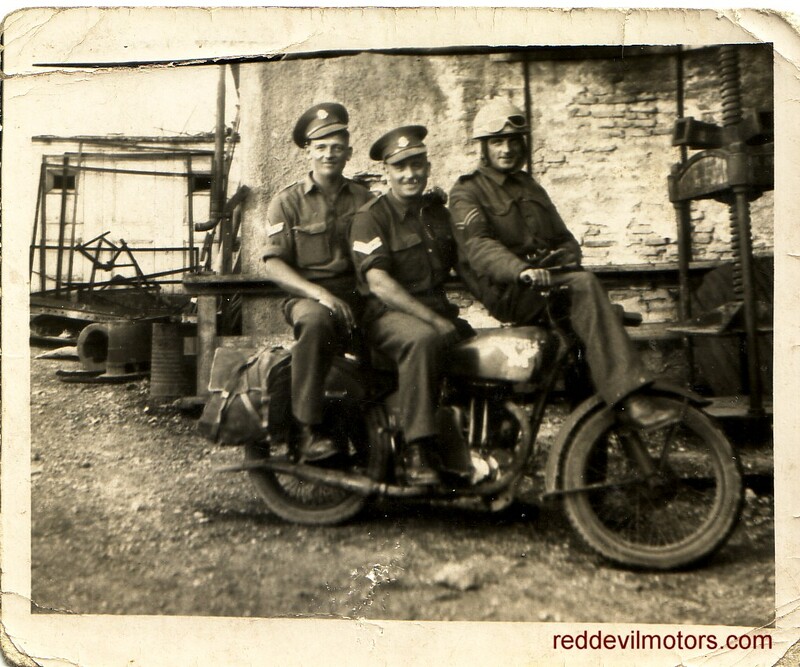 A trio of Indians. 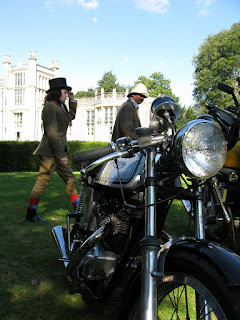 A 4, a Scout and a Prince. 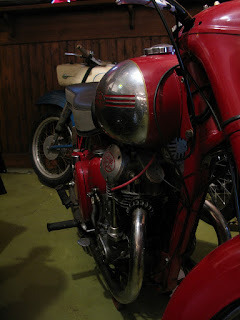 Guzzi Nuovo Falcone in the foreground. 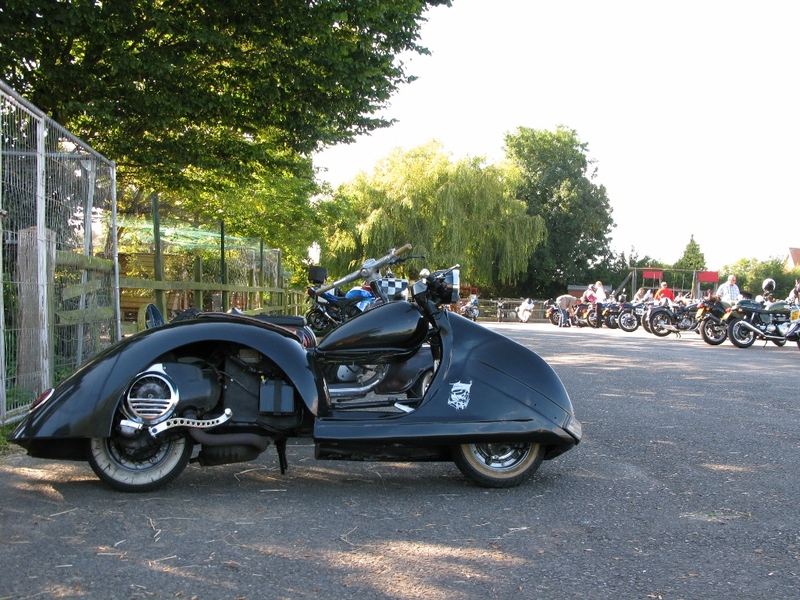 combo from 1940 in front of it. 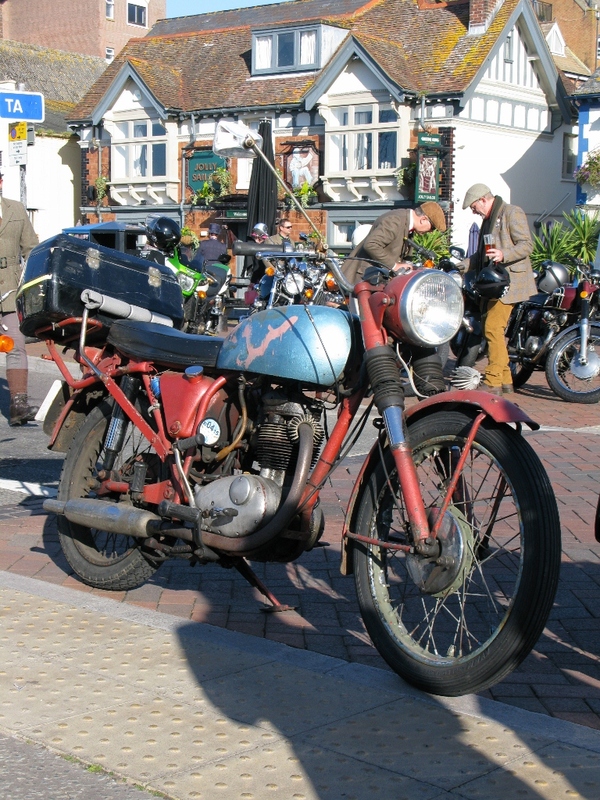 Late thirties DKW SB200 two stroke. 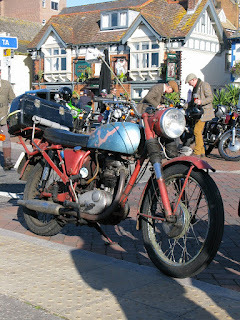 W650 despite claims that it is a Triumph clone. 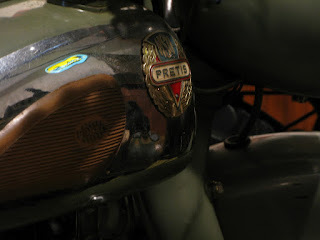 NSU but look at the tank and it says NSU Pretis. 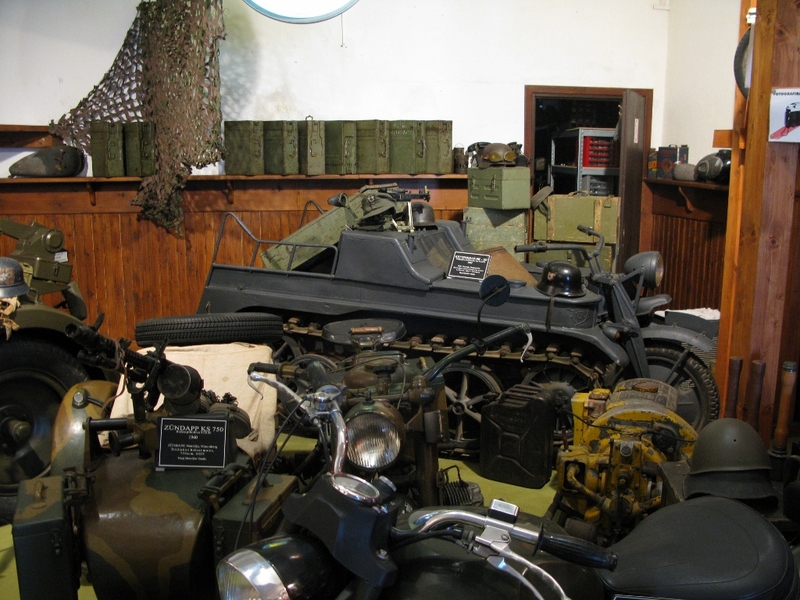 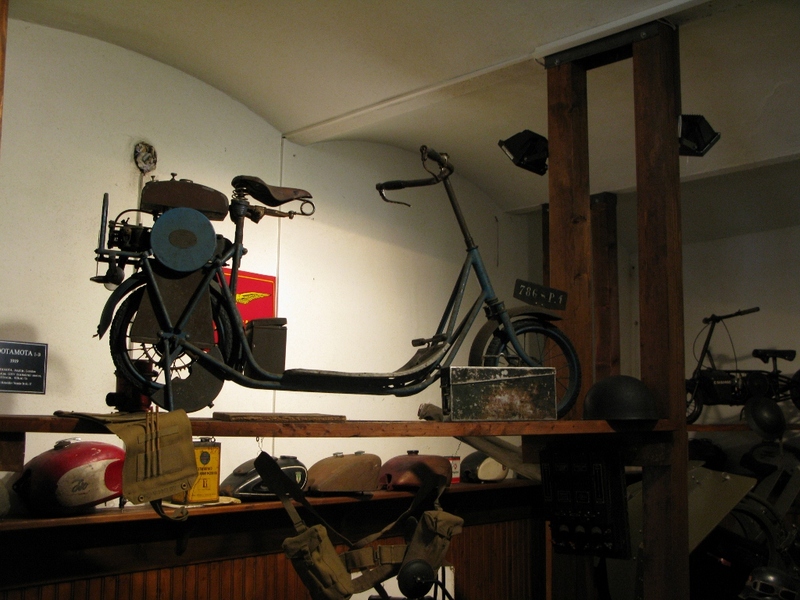 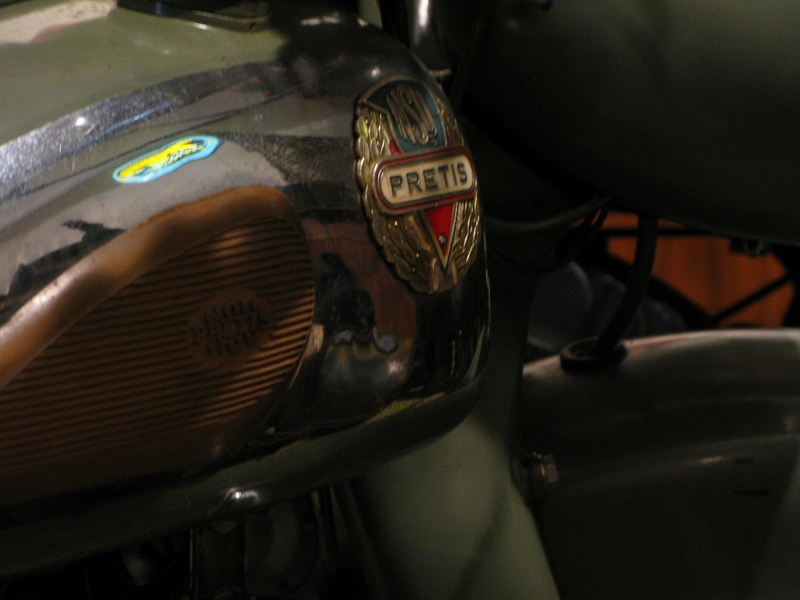 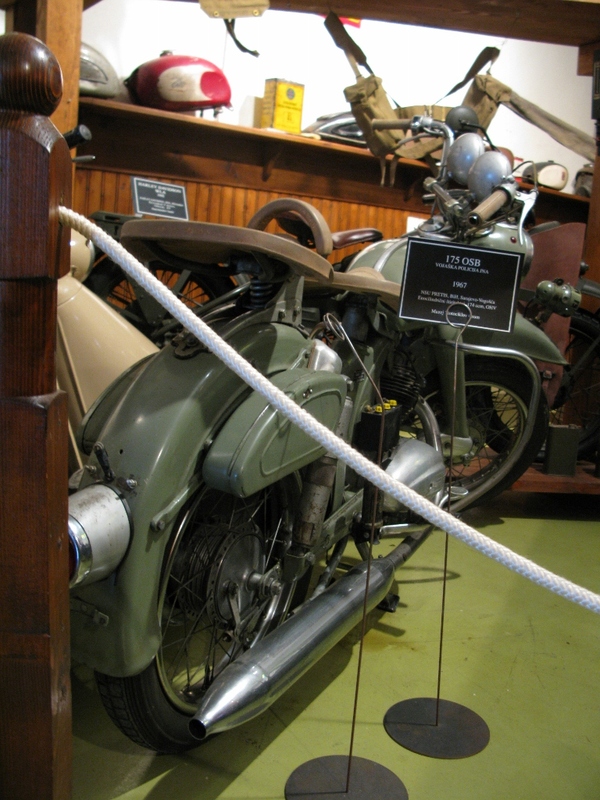 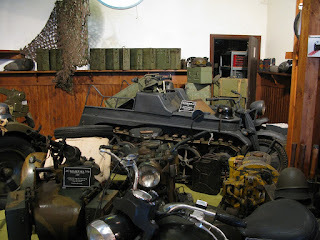 they also took on production of the Prima scooter and Prinz car. Production continued until 1967 when the factory closed. 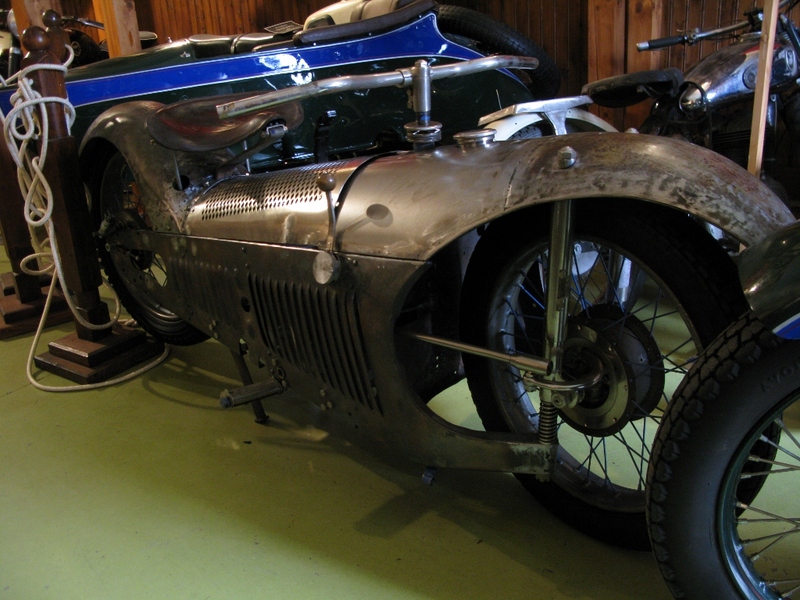 Late thirties NSU two stroke. racers. 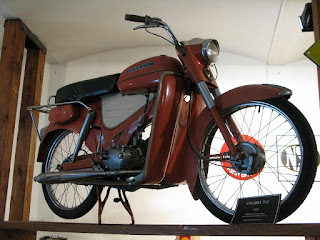 This is a Colibri VS50 from 1957. 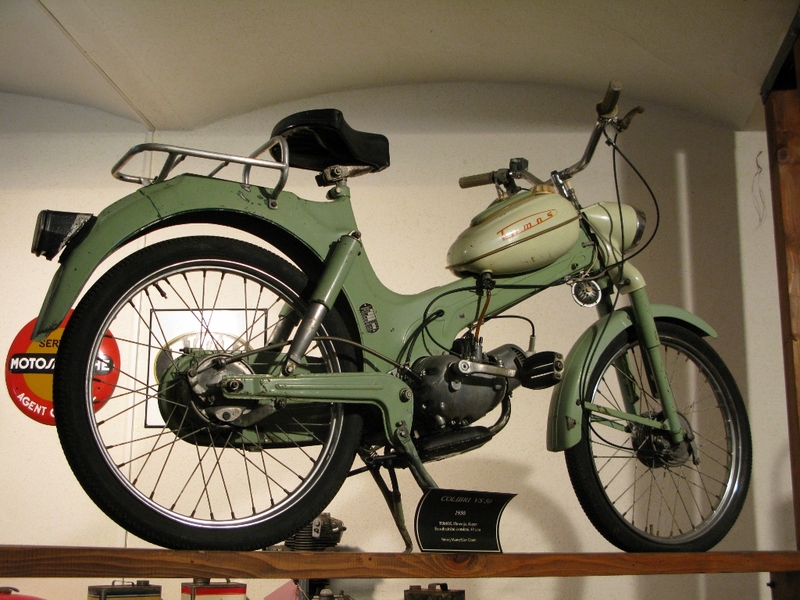 Tomos Colibri T12 from 1967.
condition of much of the machinery in the collection. 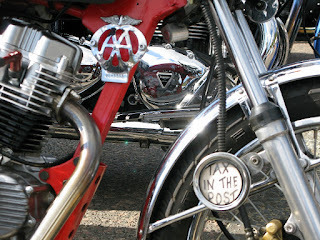 I love this bike and it's not just personal vanity over the name. It's rare, it's unusual, it's red and the condition is perfect. 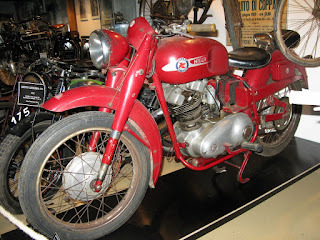 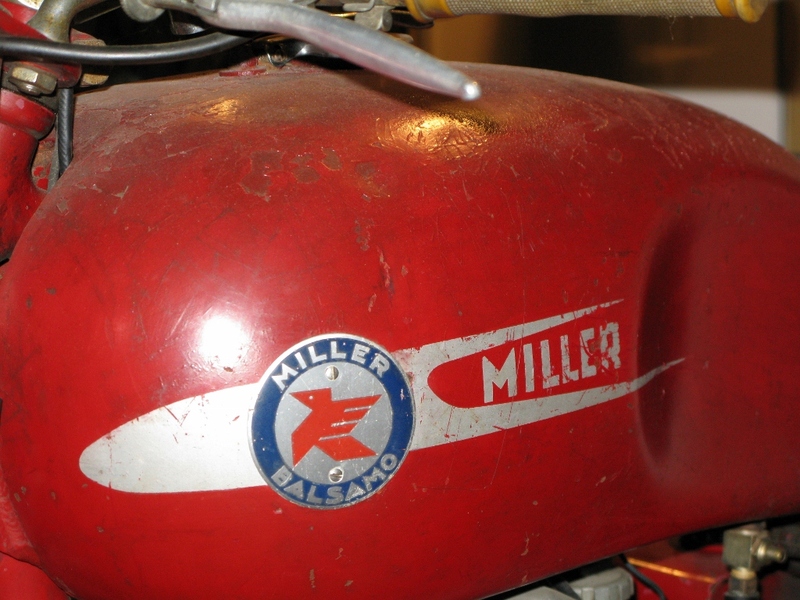 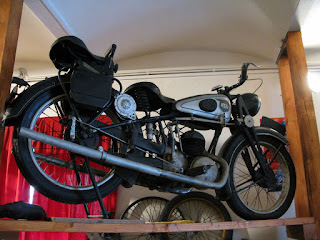 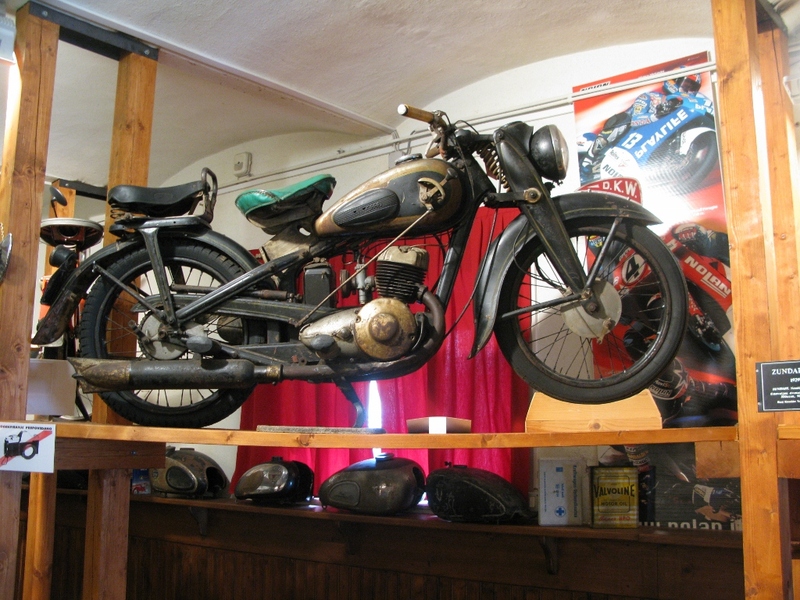 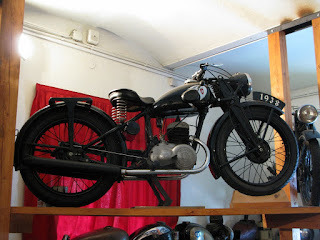 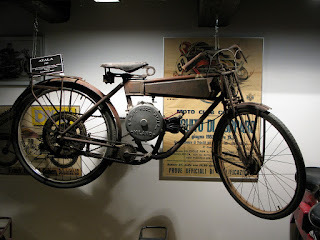 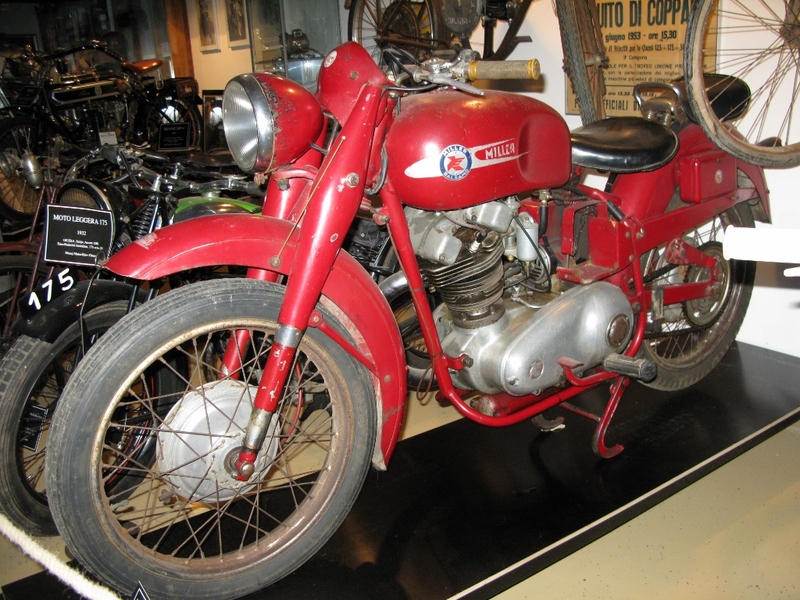 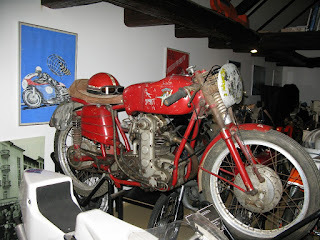 250cc Miller made in Balsano, Italy.